Brutha are out with the music video to their new single ‘Can’t Get Enough’, off the sibling R&B group’s second album ‘Vacancy’, out soon on Def Jam Records. Watch the Dale “Rage” Resteghini directed video via Vevo below. Thisis50 caught up with sibling R&B group Brutha, who discussed what each member brings to the group, how they got signed to Def Jam, what Shakir Stewart means to them, how the grind changed since they got signed, their single ‘One Day On This Earth’, working with R. Kelly, their sound of music and more. Watch it via YouTube below. Brutha teamed up to sing ‘All I Do Is Think of You’ by Troop because “Jake had a crush on this girl and wanted to do something special for her.” Watch the serenade below. Brutha checked in from the studio, performing an a capella cover of ‘Forever’ by R. Kelly. Watch it via their YouTube below. 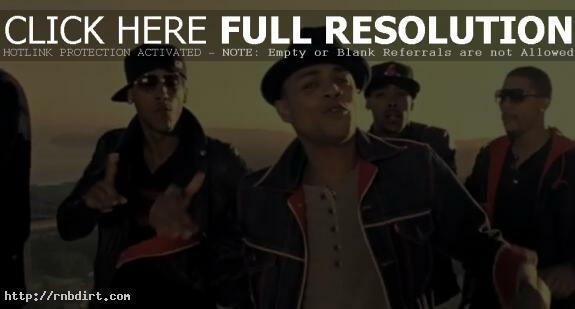 Sibling R&B group Brutha teamed up for an acapella performance of ‘Never Can Say Goodbye’ by The Jackson 5. Watch it via their YouTube channel below. Anthony Harrell of Brutha checked in from the studio, talking about meeting all the hottest writers as the sibling R&B group tries to make history. “We’re going back to how they used to do it in the hold Motown days,” Anthony said. Watch the brief clip via MySpace below. Brutha’s latest YouTube video features the sibling R&B group in a skit called ‘Brotherhood is Sharing’. The clip has the brothers sharing toothbrushes, underwear, and a girlfriend. “There’s no turning back for us now,” Anthony Harrell says. “This brotherhood movement is real, and we will not stop until the whole world hears like us.” The comedy clip at YouTube has since been removed. Brutha are out with the video to their new single ‘She’s Gone’, the second release off the Los Angeles sibling R&B group’s self-titled debut album, out now on Def Jam. Watch it via YouTube below. Brutha, who visit ‘106 & Park’ (BET) on Tuesday. Akon, who visits ‘The Ellen DeGeneres Show’ (Syndicated) on Wednesday.